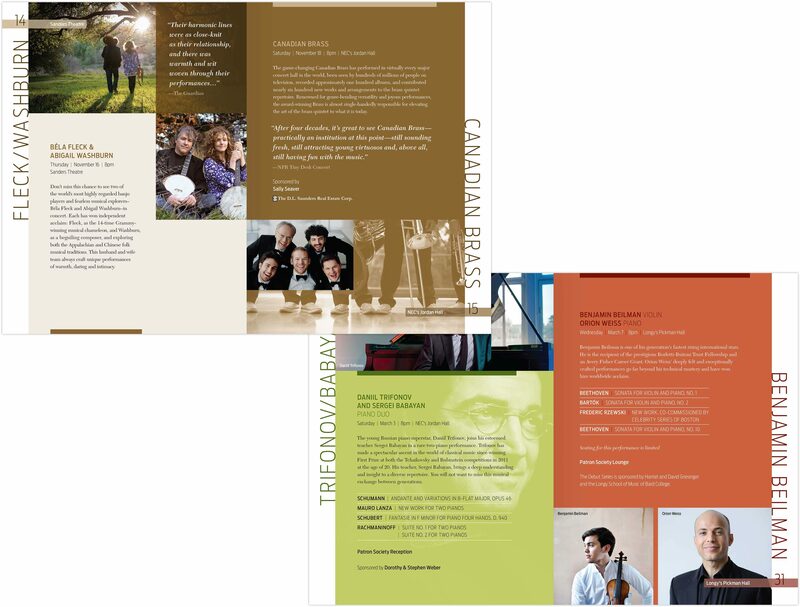 We’ve worked closely with this presenter of performing artists for 15 years. 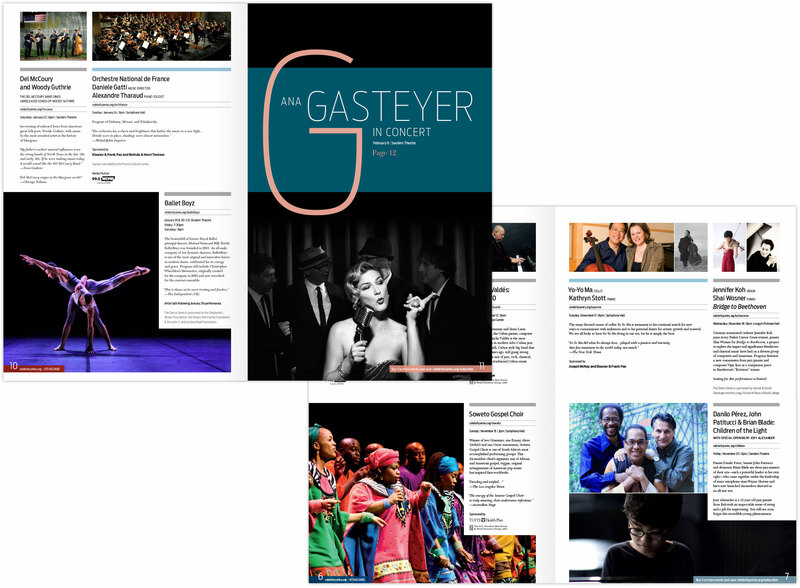 We were initially engaged to develop a system of brand communications to better position the organization for fundraising and to differentiate it within a busy cultural landscape. 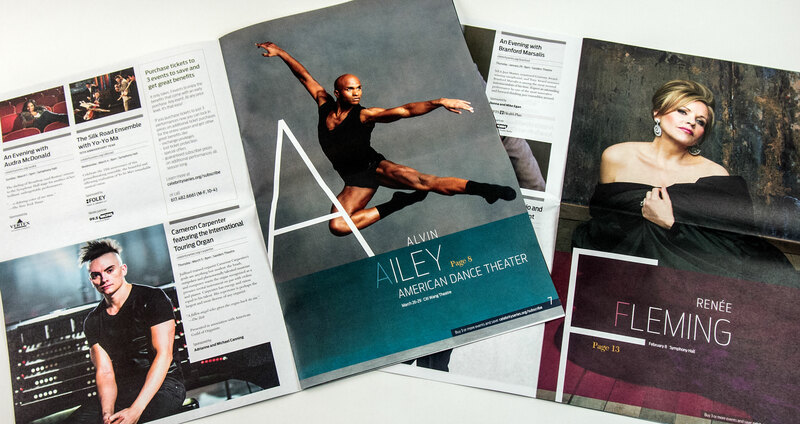 Celebrity Series faced a set of tough branding challenges: very diverse offerings—and competition for name recognition from their artists and venues whose names had higher visibility. 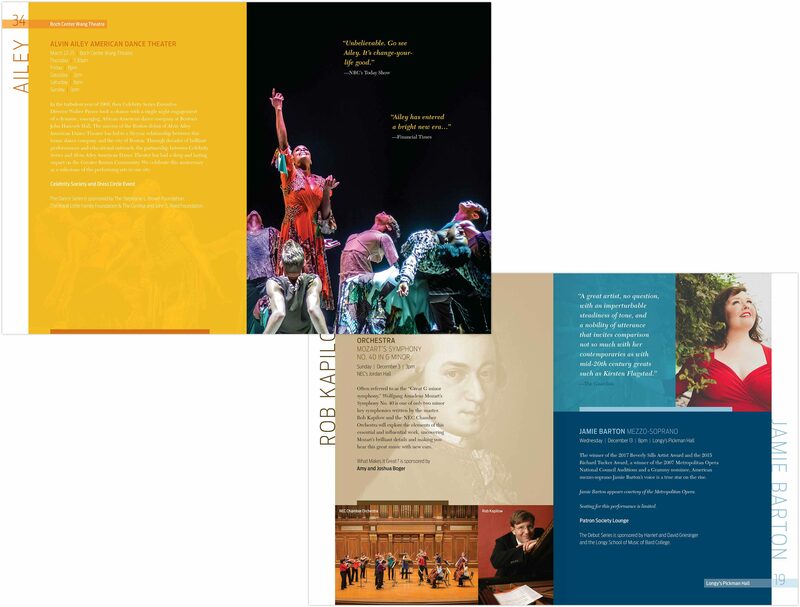 We worked closely with staff and board members to reposition the organization in the competitive Boston cultural landscape, developed a complete branding system, and redesigned the suite of printed and electronic communications to create a new energy, focus, and coherence previously missing. 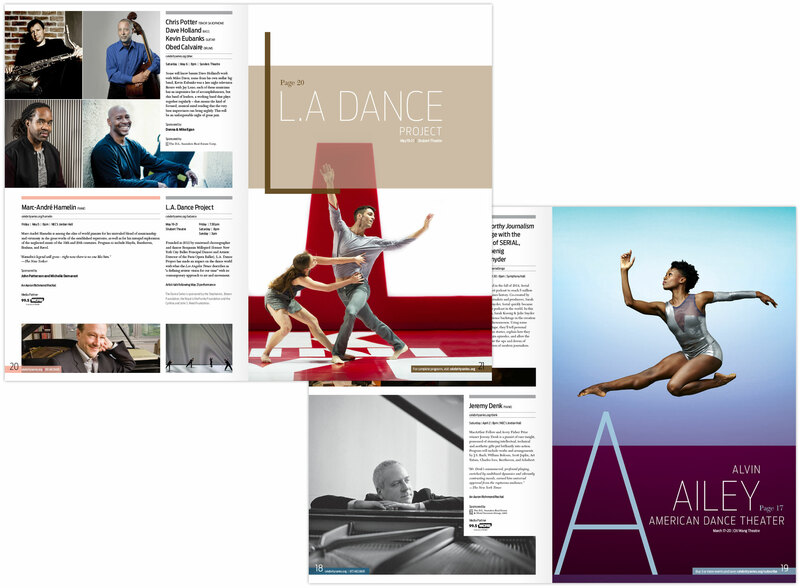 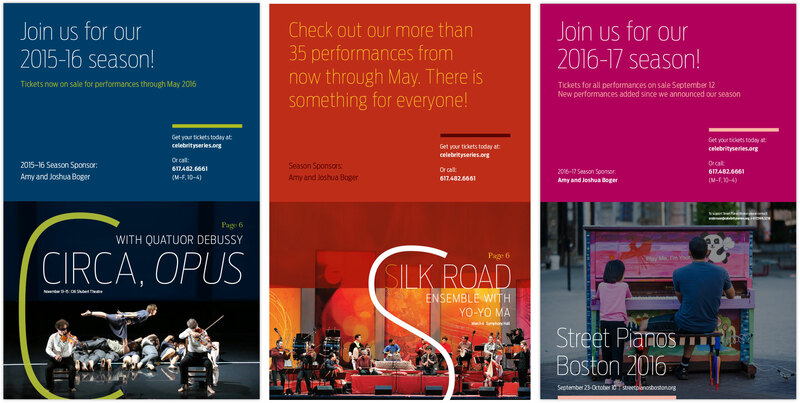 More recently, we have continued to collaborate on each year’s season brochure, development materials, and single ticker mailers — showcasing the rich variety, quality, adventure, and discovery that Celebrity Series brings to Boston each year.